This complete Old Body Style $875 Kit is essentially “electric fuel” for 1994-1997 7.3L PowerStrokes. This kit takes no short cuts on delievering the most complete setup on the market. 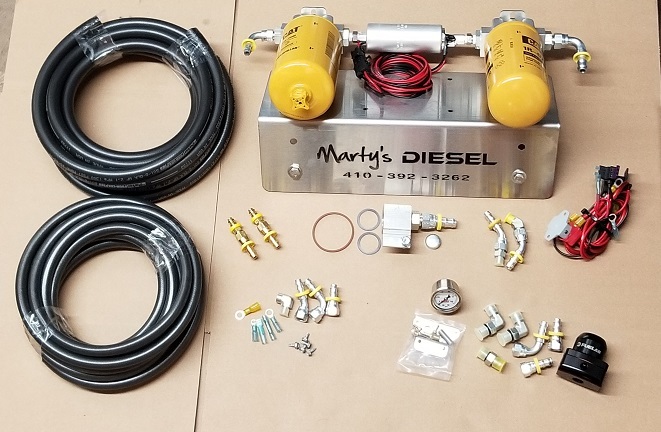 From our seamless intergration at the selector valve to the billet adapter we use to tie into the factory rear feed lines, this kit is second to none. You will not have to remove the OEM turbo to install this kit! Walbro GSL392 that will handle up to 250cc/100% injectors. Selector valve fittings that allow you to seamlessly intergrate our fuel system onto the factory seclector valve. 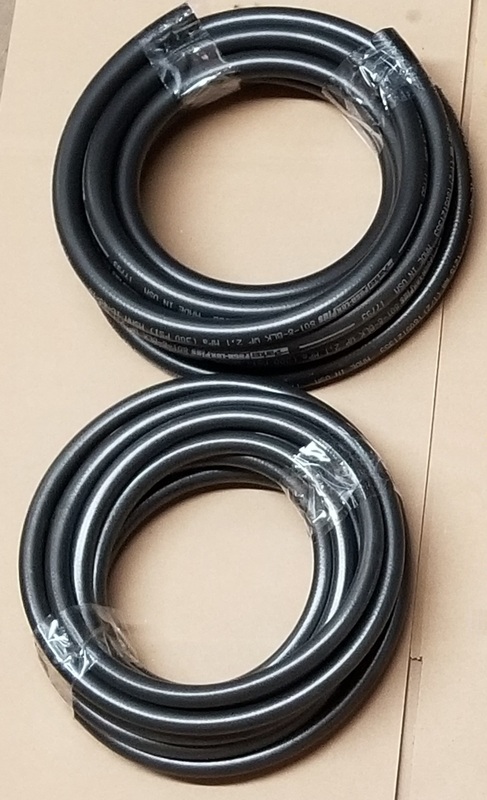 Complete parker 801 push-lok hose. All kits include enough hose to fit a crew cab long bed pick-up truck. A stainless steel, laser cut bracket with stainless steel hardware. 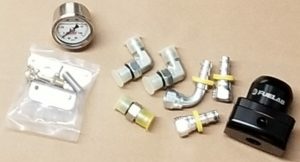 All ORB/JIC/Banjo connections for leak free operation/easy installation. Every fitting needed to install the kit, plus extra’s. Complete fuel bowl delete, replaces all factory fuel system lines except the rear two. Video login for full installation, selector valve line feed and return, wiring and bracket mounting. Feeds rear of factory heads. Factory rear fuel lines stay intact. Turbo O-ring and new banjo washers included for leak free operation. 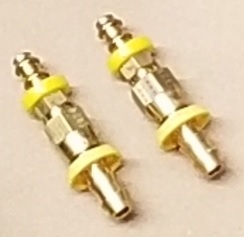 Option of two different length filters. 7.5″ long CAT filters or 5.5″ long Napa filters. 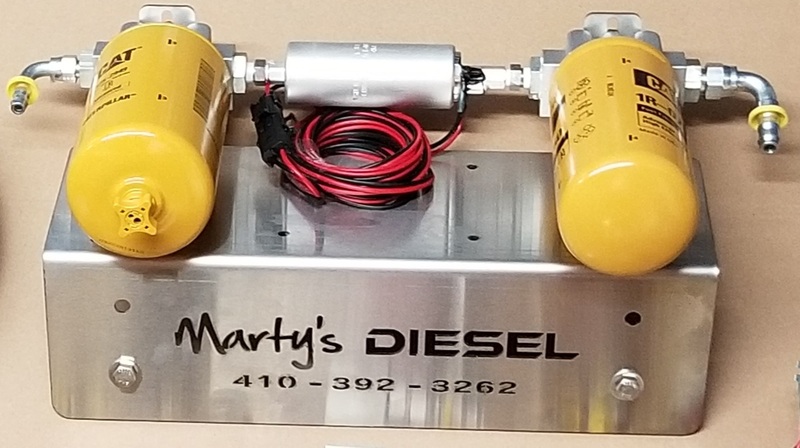 Everything from the post pump filter base forward is the same as our complete kits, so upgrading is usually just a pump and pre-pump assembly upgrade..
-10 ga. or 14 ga. power wire (depending on relay position). 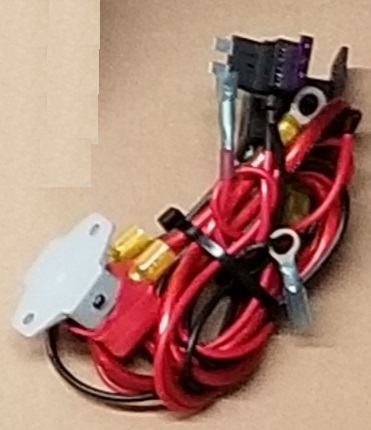 -20 Amp reset-able circuit breaker. -All 3m or weather pack terminal ends. Walbro GSL392 pumps are not warrantable for use with diesel, however we have an extremely low failure rate and offer discounted replacement pumps. 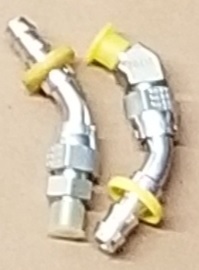 Be EXTREMELY careful when installing the 2 NPT fittings in the front of the heads. They are to be installed as tight as you can by hand and then ONLY tightened 1.5-3 more turns. I would HIGHLY recommend making sure the ports are clean and free of debris. Marty’s diesel is NOT responsible in any way shape or form if you crack the head from improper installation. 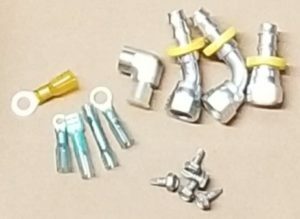 These instructions are for the older version of this kit, but it is identical until you get to the point where you cut the rear fuel lines. You do NOT need to cut the rear fuel lines.